This year’s Abu Dhabi International Petroleum Exhibition and Conference (ADIPEC) will give oil and gas professionals an unrivalled platform to meet potential new business partners from around the world, organisers said today during the lead-up to the annual event. For trade professionals, the biggest challenge can be to identify opportunities amid the vast scale of ADIPEC. Over four days, the event will attract an estimated 10,000 conference delegates and 100,000 exhibition visitors from around 135 countries, while 2,200 exhibiting companies are confirmed from more than 53 countries. Those numbers keep growing year on year, partly because ADIPEC keeps expanding in its scope. In 2015, the Offshore and Marine area was launched, while last year the Security in Energy event was added to the programme. This year the downstream oil and gas industries will be included for the first time, as part of the expanded conference programme covering both strategic and technical content for the sector. Each comes with its own conference programme and exhibition area, and attracts additional attendees. With so much ground to cover, 2017 will see an expansion of ADIPEC’s Global Meetings Programme, which acts as a vehicle to drive bi-lateral trade as buyers and sellers from all around the world converge on the event. This bespoke networking and matchmaking service gives conference delegates, exhibitors and VIPs an efficient way to search for and connect with new and existing business contacts, and pre-arrange meetings either in a dedicated lounge or on exhibitor stands. 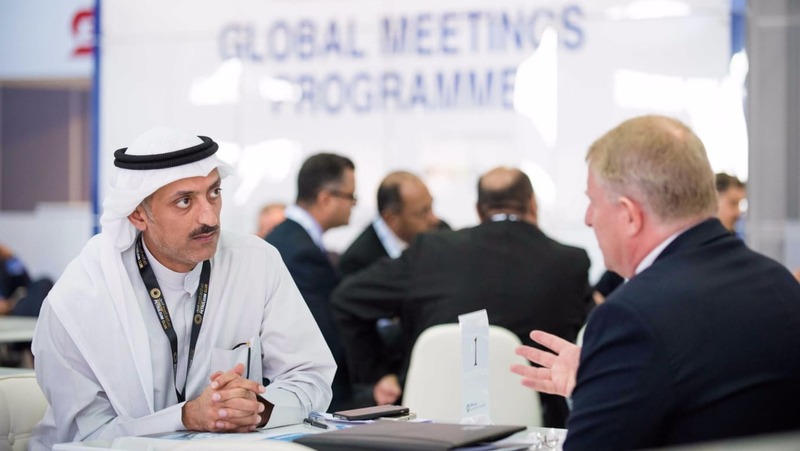 Each attendee at ADIPEC can upload a profile onto the Global Meetings Programme platform, including company and personal details, listing their areas of interest, and the programme will suggest possible meetings. Anyone attending ADIPEC can use the programme, although access will be higher depending on the type of badge a participant holds.